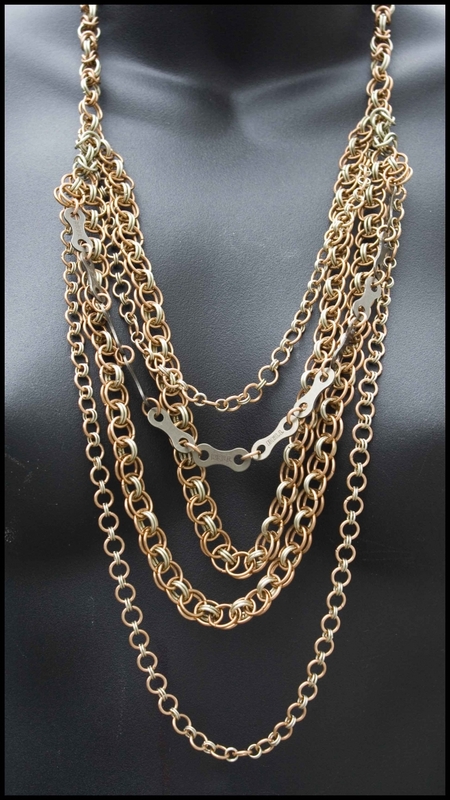 A statement piece made from copper and nickel silver...the chain maille weaves included here are Helm, Byzantine, and 2-1 Cable. I don't remember the sizes of the rings. There is also a strand of recycled bike chain plates. One of a kind...I don't think I'll be making another like this anytime soon.